Mobile commerce is having difficulty gaining traction among small businesses in the United States. According to the U.S. Census Bureau, these companies account for more than 90% of the businesses in the country, but they have yet to show significant support for mobile payments. Large retailers and banks, however, have become quite enthusiastic about mobile commerce, offering consumers services that allow them to manage their money and shop directly from the smartphones and tablets. One of the reasons that small businesses may not be supporting mobile payments is because NFC technology comprises much of the mobile commerce infrastructure. NFC technology allows digital information to be transmitted over short distances and it has become a powerful tool for the mobile payments space. Most prominent payment services, such as Apple Pay, make use of this technology in order to facilitate transactions, but this requires that physical merchants have an NFC-enabled terminal that is able to interact with this technology. 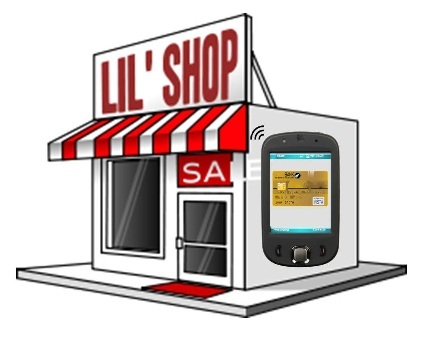 For small businesses, adoption of NFC technology may be too costly, which has stunted the growth of mobile commerce among some merchants. An alternative, however, is new Europay, MasterCard, and Visa (EMV) standards, which retailers are required to embrace by October 1. These standards allow all retailers to adopt new payment terminals that support EMV cards. This will allow retailers to also embrace mobile payments, because EMV-enabled cards will be associated with the payment services being used by consumers. While small retailers will also have to adopt EMV-enabled terminals, many have yet to outline plans to do so, partly due to high costs. If retailers do not embrace the new EMV standards, they will be held liable for any fraudulent purchases that are made through their establishments. Once small retailers begin feeling the consequences of these fraudulent purchases, however, they are likely to adopt the standards and begin acquiring EMV-enabled terminals.